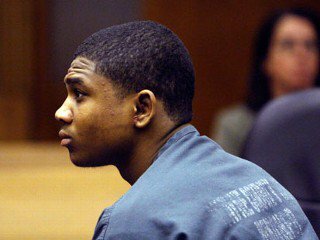 IONIA, Mich. — A Detroit hit man in prison for eight murders said he’s willing to publicly take responsibility for four more to help clear a young man who claims he’s innocent of the slayings and confessed at age 14 only to satisfy police. Smothers said he never used a 14-year-old accomplice – blind in one eye and learning disabled – to carry out his paid hits, mostly victims tied to Detroit’s drug trade. Ironically, there’s no dispute that Smothers confessed to the so-called Runyon Street slayings when he was captured in 2008, but prosecutors have never charged him and never explained why. Told about the AP interview, Sanford’s attorney said she soon would ask a judge to bring Smothers to court. “If we can get Mr. Smothers up on the stand, it would be awesome for Davontae,” Kim McGinnis said Monday. Smothers, 30, spoke over a phone Saturday at the Michigan Reformatory with a glass window separating him from an AP reporter. He’s 130 miles west of Detroit where he unflinchingly killed people on streets, inside homes and even while he talked on a cell phone. He finally was arrested in an alley in 2008 while holding his daughter. Smothers quickly confessed to a series of murders, including the execution-style shooting of a Detroit officer’s estranged wife for $50. He says he was paid $60,000 over a two-year period. He eventually pleaded guilty to eight slayings and was sentenced to at least 52 years in prison. Sanford, meanwhile, has been fighting to get out of prison. 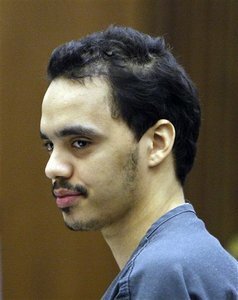 A Wayne County judge soon is expected to decide whether to throw out his guilty plea to four killings on Runyon Street in 2007. 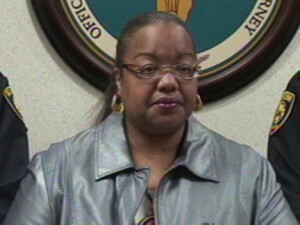 McGinnis has worked to discredit the police investigation. She discovered major holes, including Smothers’ confession and the fact that a gun used in the murders was found at the home of an accomplice who, like Smothers, hasn’t been charged. Prosecutors, however, have refused to back away from Sanford’s guilty plea. At times, they have acknowledged that Smothers may have been involved but they won’t rule out a role for the younger man. “It’s too bad that a kid who didn’t have anything to do with this crime is sitting in prison. That to me is a tragedy,” Silver said. With short hair, clear face and a thin build, Smothers looks much younger than his 30 years. He smiled often during the interview and expressed dry humor, especially when he described odd jobs – drywall, plumbing, roofing – while a student at Detroit’s Kettering High School and later a factory job in Warren. “You sound surprised,” Smothers said of his resume. “Over the course of my young adulthood, I developed a hard heart where people didn’t matter … When you grow up in the city there’s just certain facts of life,” Smothers said. 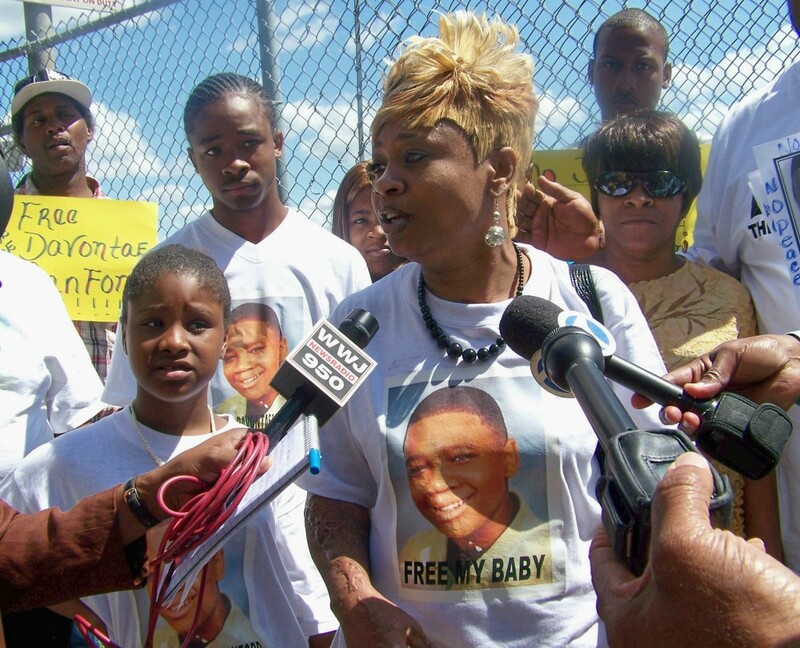 Click on http://www.change.org/petitions/new-trial-for-davontae-sanford to sign petition for a new trial for Davontae. Kym “Bull Conner” Worthy, Will Never Admit Her Office Has Made A Mistake, Even With Thousands Of Faulty Crime Lab Cases. She Is Worse Than The Southern Prosecutors From The “Jim Crow Era.” She Hates All Black Men. All The Top Assistant Prosecutors In Her Office Are Women. The Tale Of The Tape – Of A Super HeavyWeight; When Was The Last Time A Wayne County Resident, Has Witnessed Madame Prosecutor Worthy, Out On A Date?